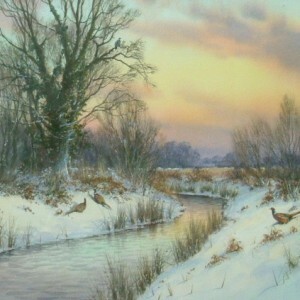 Born in 1944, Colin Burns grew up in a Norfolk seaside town. 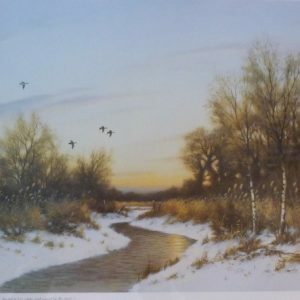 From the age of seven, he began to paint landscapes and sunsets and, as a nine year old, started winning art prizes at school. 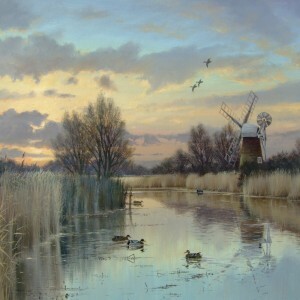 At the age of twelve, his parents moved to live in the middle of the country in a marshland farmhouse and his former town life was replaced with beautiful surroundings and the local wildlife. 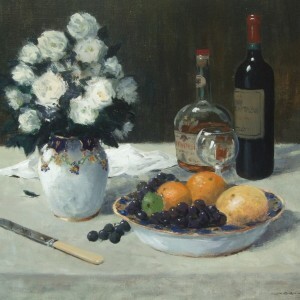 Colin Burns claims that this change of lifestyle was the greatest artistic influence he has experienced. 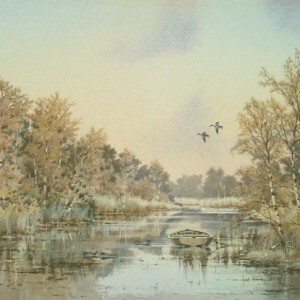 He became more and more involved in painting and began observing the wonders of nature. 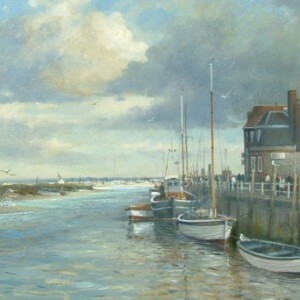 At the age of sixteen he left school and qualified as an accountant and went to work at ‘Birds Eye’ in Great Yarmouth, painting in his spare time and finding an enthusiastic market for his local landscapes. 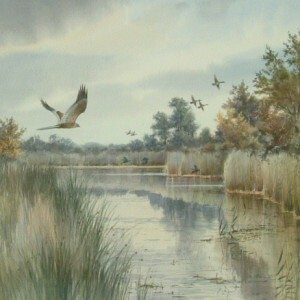 Through the recommendation and advice given by Harry Dyer, the well known gallery owner and art dealer in Great Yarmouth, Colin approached the renowned ‘Tryon’ Gallery in London specialising in wildlife by leading artists, receiving an enthusiastic response Colin held his first exhibition at the “Tryon” in 1977 which proved to be a great success! 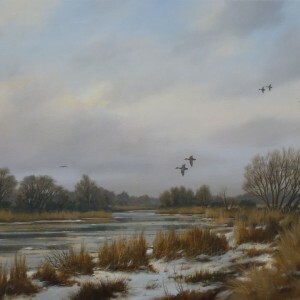 Having left ‘Birds Eye’ in 1978 to become a professional artist, painting both in oil and watercolour, concentrating on the East Anglian countryside and the birds that inhabit it, Colin Burns has now become one of the most ·successful artists of the day. 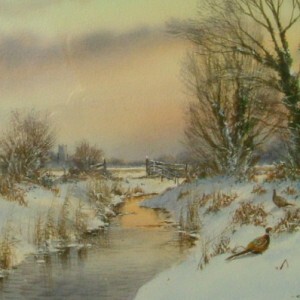 The Highlands of Scotland and its moors with its unique Scottish wildlife are also beautifully portrayed along with London scenes and even Central Park in New York, such is the versatility of Colin’s talent with the brush. 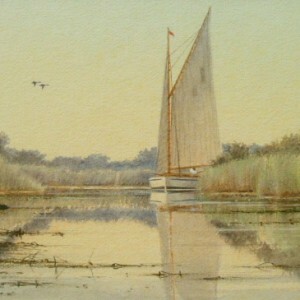 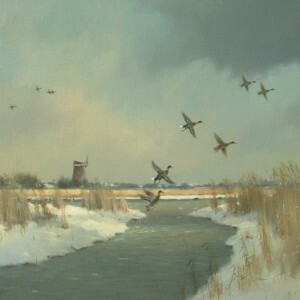 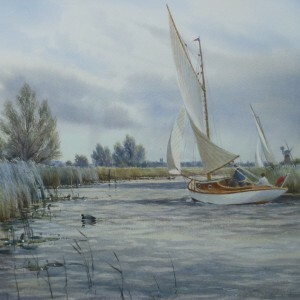 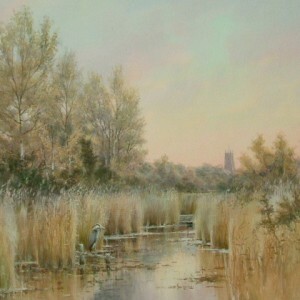 However it is the East Anglian countryside for which he is regarded as a leading wildlife artist. 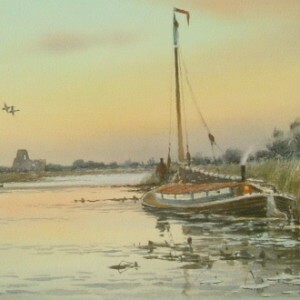 For many years Colin Burns was an active committee member of the “Great Yarmouth & District Society of Artists” contributing greatly to this prestigious art group and held the office of chairman and vice-chairman, eventually stepping down to concentrate even more on his art as the international Auction House ‘Christies’ now handles his work through sales in London, New York and Scotland. 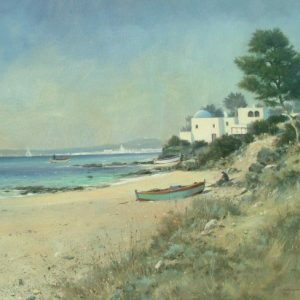 Many of his paintings have been reproduced as greetings cards and prints and his original oils and watercolours are keenly sought after and included in important collections in Europe and the USA.